Choosing men’s electric shaver is a very personal task. Nowadays, the best electric shavers give you a close shave in no time and leave your skin smooth. High-tech shavers are getting all kinds of praise for their super shaving ability. Electric razors have many benefits over the traditional manual ones. The most obvious one is how fast shaving with one can be. While all electric shavers provide you with a shave, they aren’t all created equally. Do you want a foil or rotary mode? Do you want a quick-charge function? What about a beard comb or a model that can be used in the shower? All of these questions and other factors should be considered before purchasing one. There are two types of men: the ones who use the traditional manual wet shaves and the others who have embraced the safety and smoothness of high-quality men’s electric shavers. Let’s take a look at the pros and cons of electric shavers. In a consumer survey, 67% of people said that using a small electric shaver is much faster than a wet razor. This means it’s a great way to help save your precious time in the morning. It’s great not to make a mess in your bathroom every morning, which might otherwise end up resulting in a nightmare for those who need to use it after you leave. The best electric shavers work without water or gel, which results in a clean shave. This way the bathroom won’t get messy when you’re in it. But one of the greatest things about an electric shaver is that you don’t even need to be in a bathroom while shaving! You can be anywhere! Most are small, so they can be easily carried around while you travel. Many electric shavers can stay charged for as long as two weeks, which is long enough for you to stay well-groomed and stubble-free during a holiday or business trip. Although you can buy best budget electric shaver for less than $50, a high-end one with extra features can cost you more than $200. This doesn’t even include the foils or heads you would need to replace every two years or so, which will typically cost you about $15-$40. A wet razor blade is usually used with gel which will give you a closer shave compared to an electric shaver. The Braun Series 7 790cc originates from a German tech gadgets industry called Braun. Of all the shavers that this company has produced, the Braun Series 7 790cc emerges as one of the most popular and widely used. Since its launch, it has not yet found a good competitor. There are various reasons as to why this electric men’s shaver stand out. Unlike other shavers, the Braun Series 7 790cc leaves you with super smooth skin due to its ability to give you as close a shave as possible. This close and smooth shave is due to its three trimmers. Of its three trimmers, the first two, which are known as OptiFoil, are specifically used for shaving hair without using many strokes. The last trimmer, which is known as ActiveLift, is very useful in removing the ingrown hairs. It is important to note that the Braun Series 7 790cc is a rapid shaver and can produce approximately 10,000 micro-vibrations per minute. These vibrations are very important in ensuring that the shaver captures as much hair as possible per stroke. The Braun Series 7 790cc is fitted with a flexible head that will effortlessly move along the contours of your face. This device is equipped with a charging dock and an alcohol-based cleanser, which helps eliminates 99% of germs at the touch of a button. In addition to these fantastic features, the shaver comes with three personalization options: intensive, normal, and extra sensitive. There is also an additional pop-up trimmer which can be very handy when it comes to trimming your sideburns, mustache, or beard. 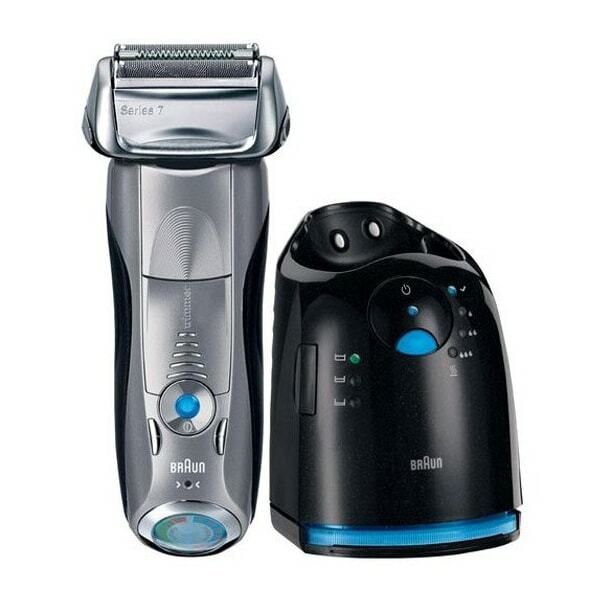 Overall, the Braun Series 7 790cc electric shaver is an all-time favorite for many guys. Its quality is impressive, it comes fitted with a pivoting head, it has three modes, a cleaning dock, and it’s at an affordable price. With all this, it’s easy to see why it’s one of the best value electric shavers. The Braun 9 9095cc is one of the best electric shavers. Its exterior is plated with a chrome plastic, giving it a modern look. The only difference between this and the Braun 7 790cc model is that this one contains a few extra features. The Direct & Cut is an extra trimmer that assists the shaver to align and cut hairs that are growing in different directions. The ActiveLift feature that is in the Braun 7 790cc model is replaced by a HyperLift trimmer, which is able to trim flat lying hairs! 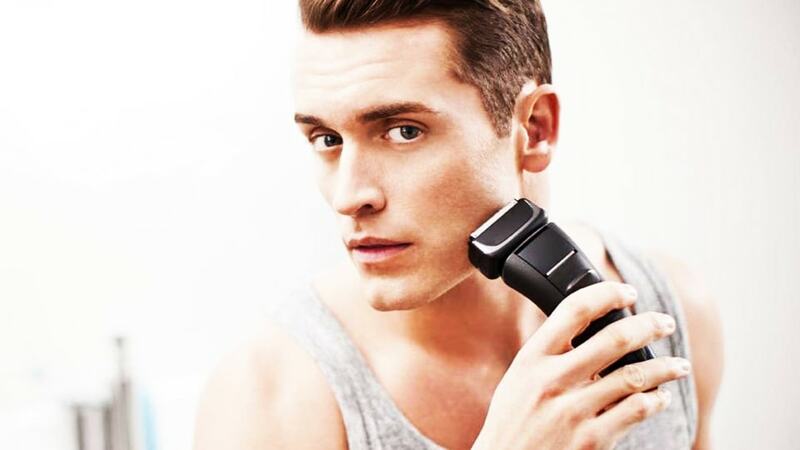 This model also uses Wet & Dry technology that gives people with sensitive skin the choice of a wet or dry shave. 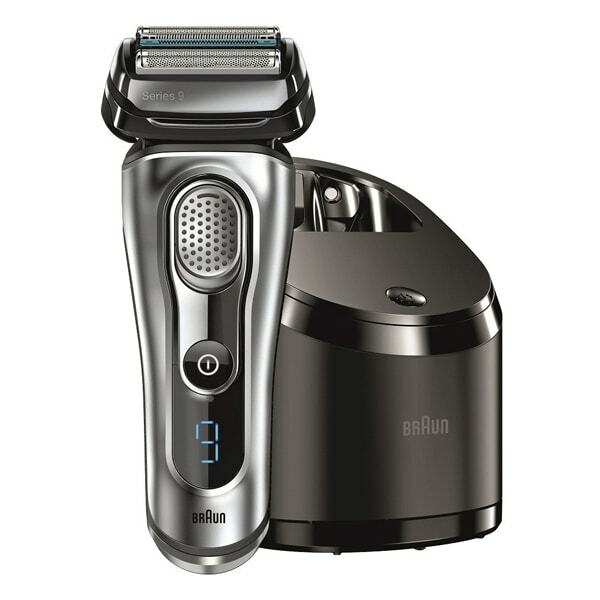 The Braun 9 9095cc delivers more than 40,000 cross-cutting actions per minute, which gives you a closer shave and makes it even more powerful than the Braun 7 790cc! This wet and dry electric shaver includes all the features of the Braun 7 790cc model as well as some improvements and extra features. The Braun 9 9095cc electric shaver is a great choice for your morning shave. While this is a great electric shaver, the downside of it is that it’s plastic and very expensive. If you are thinking about going back to an old manual razor after being disappointed by your electric one, stop for a second and consider trying the Panasonic Arc 5. When it comes to a close shave, the Panasonic Arc 5 is one of the best electric shavers on the market for it. Panasonic is a Japanese brand and their mission to deliver high-quality products. 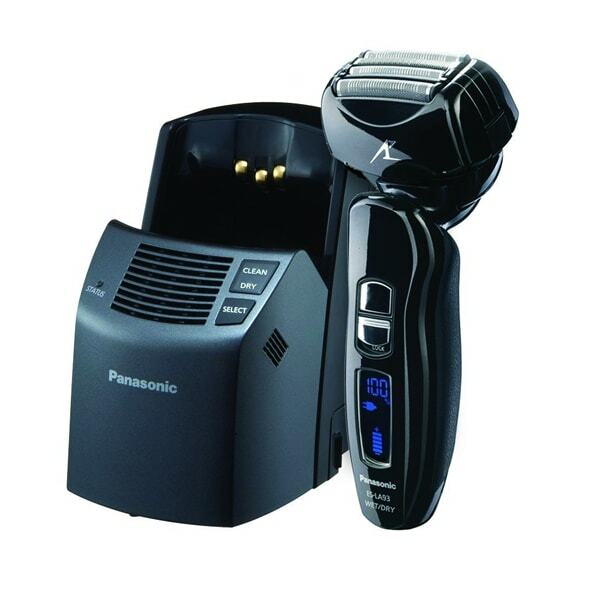 The Panasonic Arc 5 is one of the best electric shavers for men who have thick and strong beards. It contains five blades that will make your shaving effortless and will always deliver a close and clean shave. The Panasonic Arc 5 comes with a cleaning and charging dock, as well as a LED panel that will help keep you informed about the battery level. Unlike the cheap electric shavers on the market, the Panasonic Arc 5 has a 14,000 CPM linear motor built in, which prevents pulling and tugging, allowing for a more comfortable shaving experience. The Panasonic Arc 5 comes with five foils which are divided into three different types. The first three are slit foils, which help to cut long and bulky hairs. The lift-tech trimmer assists to help capture the flat lying hairs, as well as the ingrown ones. Finally, there’s the finishing foil which makes this shaver able to cut all the hairs, even if they grow in different directions and are unable to be cut by the other four foils. This cordless electric shaver’s performance is extraordinary. It is clearly the best electric shaver built by Panasonic, and that is a lot to say given the issues this brand has experienced before. 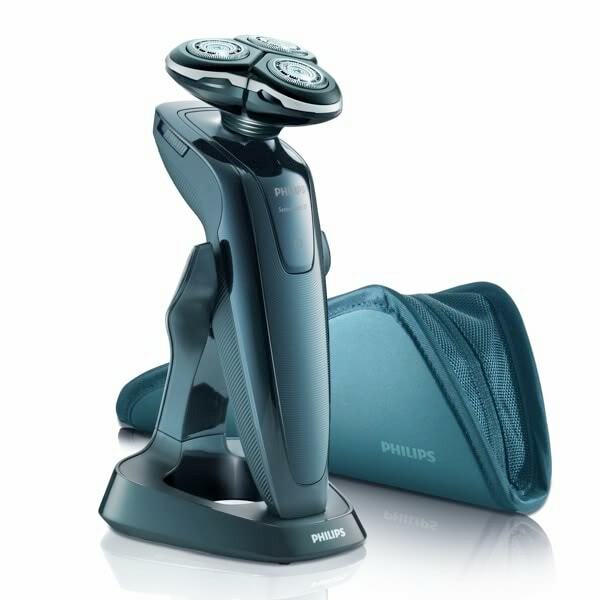 Of all rotary shavers, Philips is the best! 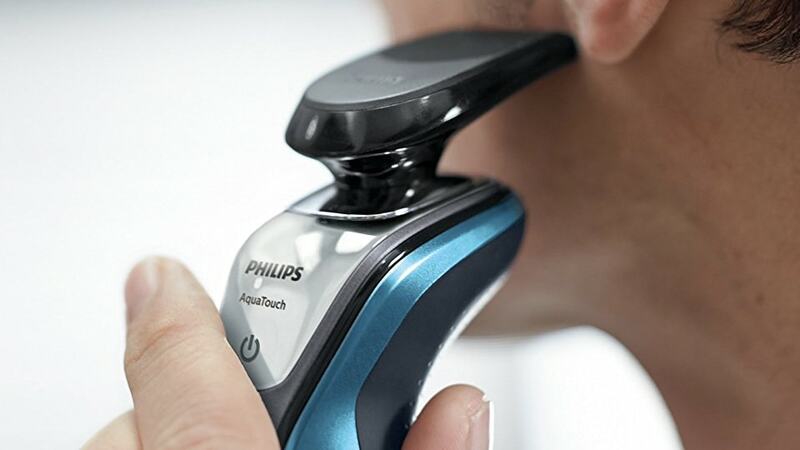 The Philips Norelco Sensotouch 3D can be used to shave your beard, as well as your head. This is the most efficient electric shaver as it doesn’t harm your skin and smoothly shaves your beard. The cordless electric shaver comes with three independent round foils in the head which move smoothly around your face. Any hair and stubble can be reached with the help of its pivoting head. Another wonderful feature is that the foil will move in any direction you want, which especially helps when you’re shaving your head. This feature makes it one of the best electric shaver for men, specially for bald guys. The name given to the head of this shaver is GyroFlex 3D because it can move in three different directions. The Super Lift & Cut is another feature that looks like the Active-Lift one in the Braun model and the Lift-Tech one in the Panasonic model. It works to cut hairs on the neck and jawline, as well as helping the shaver catch ingrown hairs, flat hair, and stubble. The SensoTouch 3D is a highly developed rotary shaver that contains all the modern and cutting edge features. It delivers an incredibly close shave while still being fast and efficient. Once again, Panasonic proves that they can produce some of the best electric shavers on the market. Compared to Panasonic’s Arc 5 model, the Arc 4 possesses most of the same features. One notable difference between the two is that the Arc 5 has an extra blade. Also, there’s an absence of the “Automatic Cleaning and Charging System” in the Arc 4, which is standard in the Arc 5. Even with just four blades, this corded electric shaver will give you a close, comfortable shave thanks to its 14,000 CPM dual action motor. The sharp, made to last blades can pivot up to thirty degrees in all directions. 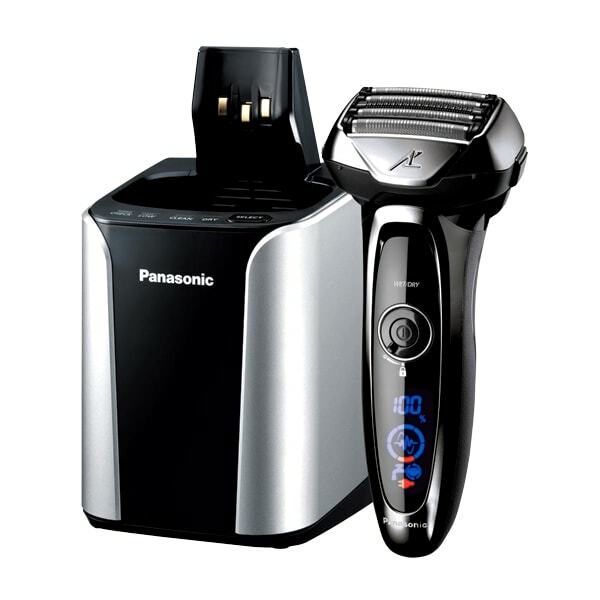 With just a single charge, you can use this Panasonic electric shaver for up to forty minutes. The best electric shavers come in a small package and incorporate technology into them. Rotary shavers are good, but some people prefer foil shavers because of their ergonomic design. They not only offer a great close shave, but a smooth one as well. They were introduced to the market by showing you could have a great shaving experience with its smooth shaving head. While rotary shavers are more comfortable than foil shavers, they are not very good for a close shave. The LED indicator in a foil shaver’s handle helps you keep track of its battery level. The LED indicator will not only show that the shaver is charging, but will also warn you of when your battery is about to die. Some best electric shavers make you shave while it is plugged in. There are also those who don’t require that. For example, the Braun series 7 allows corded shaving while the Braun series 9 doesn’t. Almost all of the electric shavers listed above are easy to use and clean. 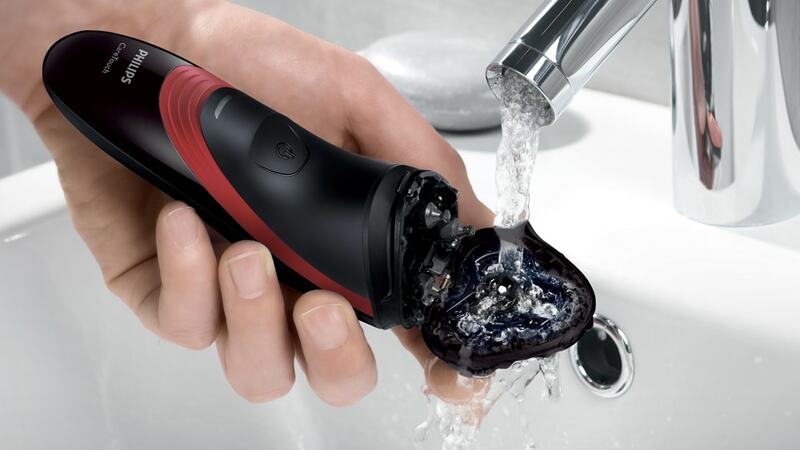 Most of the best value electric shavers come with a cleaning dock, so all you have to do is put the shaver inside the dock and press a button to clean it. Some models don’t come with a cleaning dock, so you’ll end up having to do it manually. However, this task won’t take you more than a minute! The best electric shavers come with an integrated trimmer which can be popped up. You can use that trimmer for grooming things such as your sideburns and mustache. We all know that shavers can be used on dry skin, but Wet & Dry technology enables you to use shavers in the shower as well. Wet & Dry technology is made for delicate skin since it allows you to shave with gel foam. Portability may not be your top priority for a shaver, but wouldn’t it be convenient if you were able to carry it around? Some electric shavers come with a travel case, so the battery lasts longer and you can forget about the extra weight of an auto-cleaning charging system. While mains-only shavers have to be plugged in to charge (and are generally basic and non-rechargeable) these shavers can be used when plugged into the mains or cordless. This feature is great for when you forget to charge your electric shaver. The best wet and dry electric shavers can be used cordless and give you the luxury of moving around. The best electric shavers for men come with different features and additions. Be aware though that the more features an electric shaver has, the higher the price you’ll pay. Many of the new electric shavers use the most innovative technology, so when you have the chance to update your old, worn shaver to a high-tech one, be sure to check out our recommendations. Choosing an electric shaver is not an easy task, especially when there are hundreds of options out there. You should consider the battery life, whether it offers Wet & Dry technology, and of course, its accessories. The shavers we have covered above provide a variety of choices for different shaving needs. A men’s electric shaver is a perfect tool that every man should consider investing in.